Walk into a random bar in Chicago, San Francisco or Brooklyn, New York, and there’s a growing likelihood you’ll run into a pinball machine or two. You might be surprised to find groups of people excitedly plunking quarter after quarter into the machines and talking about high scores. This scene might feel like something out of the 1980s, but it’s not. Pinball is back. The evidence isn’t just anecdotal. 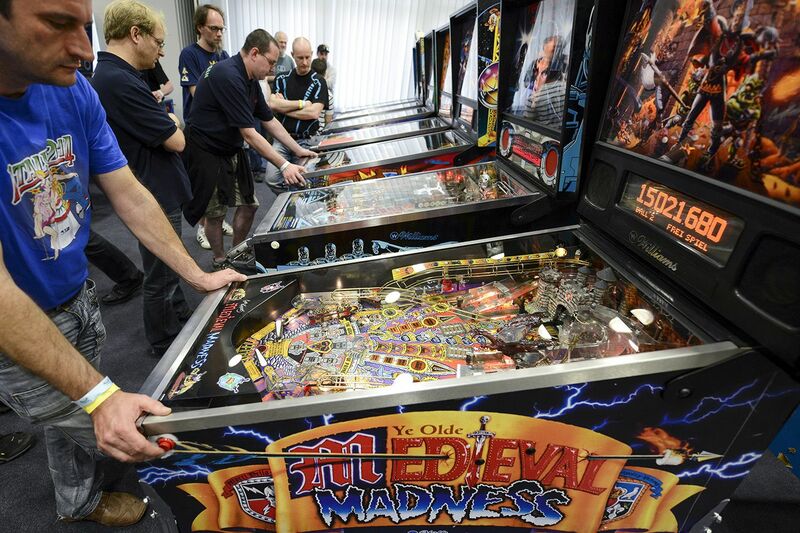 The International Flipper Pinball Association keeps track of tournaments around the world and reported an almost tenfold increase in the number of them from 2009 to 2017. Attendance at these events skyrocketed from 12,527 in 2009 to 115,656 in 2017. IFPA President Josh Sharpe tells Newsweek this isn’t only an American phenomenon, with other countries, such as Australia, especially embracing the pinball boom too. What draws folks to play these seemingly antiquated games, especially when free ones are just a button-push away in our pockets? Zach Sharpe, director of marketing at pinball manufacturer Stern (and Josh’s brother), credits phones and video games with driving people to seek out a more tangible, mechanical pastime. “It’s an entertainment device that can’t be replicated,” Zach tells Newsweek. “While video games are fun, you don’t get that same tactile action that you experience with a pinball machine.” Josh says the analog nature of pinball wasn’t special during the rise of video games in the ’90s, but it brings a wow factor in today’s digital world. A major reason for the rise in the number of tournaments, as well as machine sales, is the increase in Barcade-style drinking establishments featuring arcade games and pinball, says Zach, noting that Stern just saw two years of 40 percent sales growth, from 2015 to 2016 and 2016 to 2017. “The more these pop up, the more it helps our footprint,” he says. Pinball machines are a great investment for bar owners, says Jack Guarnieri, owner of manufacturer Jersey Jack Pinball. Aside from the money the games make directly, they can bring in repeat customers and help fuel league play. As an added bonus, pinball tables retain a strong resale value. Jersey Jack Pinball has tried to modernize its tables by taking what Guarnieri calls the “Steve Jobs” approach to design—giving players things they didn’t know they wanted. Now, tables come with bigger speakers and large digital screens displaying fancy graphics, as well as technological innovations such as Bluetooth integration. Along with running Jersey Jack Pinball, Guarnieri fosters the growth of the game by donating tables to children’s hospitals and providing money and prizes for pinball tournaments around the world. “It’s what we do. It’s pinball,” he says.